There have been steady partners throughout the years for Unity Space to be able to offer more to local and international communities. Without their support, we would not be able to be where we are, and we would not be able to offer substantial support to artists and non-artists across the globe. Unity Space has started a partnership with the Residency Critical Path in Sydney for presenting performances of resident artists as part of the Unity Space AiR Melbourne. This will be taking place one to two times a year and will be arranged according to the availability and intention of the resident artists. Currently Unity Space Air has three resident artists: Jaala Jensen (Tasmania), Romain Hassanin (Melbourne), Sophie Gargan (New Zealand). Performances will be on the 1st of December 2018 at Critical Path. Unity Space has been closely collaborating with Abbotsford Convent since 2017. 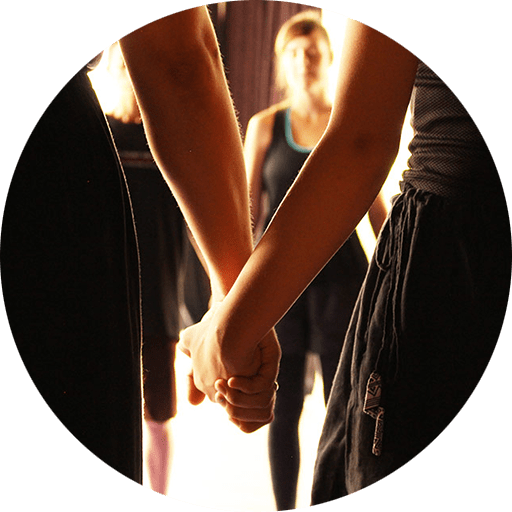 Unity Space is creating twice a year the Dance and Being Art project in their premises as well as numerous open workshops in Chi Gong and healing modalities. Unity Space has been collaborating with GSY since 2017 where we initially hosted the Unity Space AiR Melbourne. Vangelis Legakis is continuing strong and fruitful relationships with the GSY studio where he is teaching Chi Gong, Yoga and offering treatments and therapies. Legakis is also using the space for research and development to enhance his own practice, as he is continuously keeping a research-based practice. Unity Space has been collaborating with CCDC Dance Centre since 2015 when we firstly initiated the idea for the Hong Kong International Choreography Festival (HKICF) & Hong Kong International Collective Artists in Residency for Opportunities and Sustainability (HKICAROS). CCDC has been the main partner and sponsor of this event, as well as have been supportive of open classes and workshops Unity Space is offering to the local dance community of HK. KLPAC has been a major partner for the East Point West | Interdisciplinary Festival of Embodiment that takes place once a year during July. Unity Space created this festival for first time in July 2018 attracting 100 artists from across the world. With great feedback and reassurance by local and international community we are putting forward a greater festival for 2019. Unity Space are starting a new Unity Space AiR in Chiang Mai, a vibrant and rich city in Thailand. We will be offering 2-4 week long artists in residency in which artists will be able to research and develop for new productions, movement language, interdisciplinarity, choreography and other subjects under approval by the mentors. It is open to all art forms and we will be offering mentorship, studio space, accommodation, and classes at The Yoga Tree studios. Unity Space collaborates with Teatro Victoria for the Dance and Nature project where artists present solo production at the end of their research and development. Teatro Victoria and Roberto Torres have been supportive since 2015 when we first started the DaN project. Their support is invaluable for Unity Space but also for the artists involved each year as part of the project. Unity Space hosts the Dance and Nature project once each year during August at the Eco-Village resort Manantial De Tara. It is a serene and unique place where artists can relax and enjoy an excellent quality of life and specifically focus on new creations. Many artists have started short productions at this space and thereafter developed them at full productions between 20 and 60 mins long. Together Unity Space and Manantial de Tara offer the right space and environment for creation and creativity to grow.